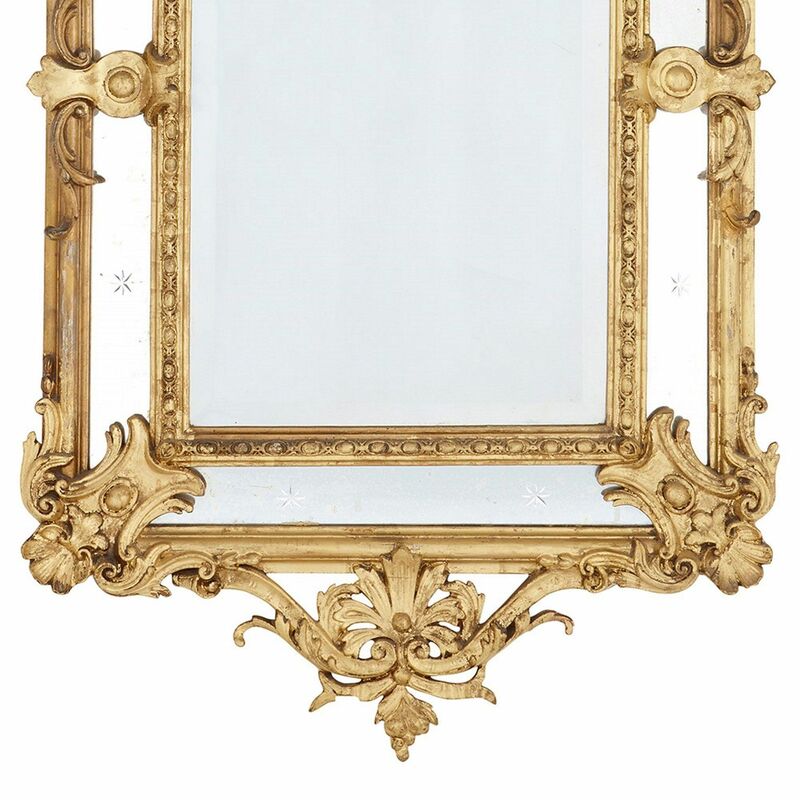 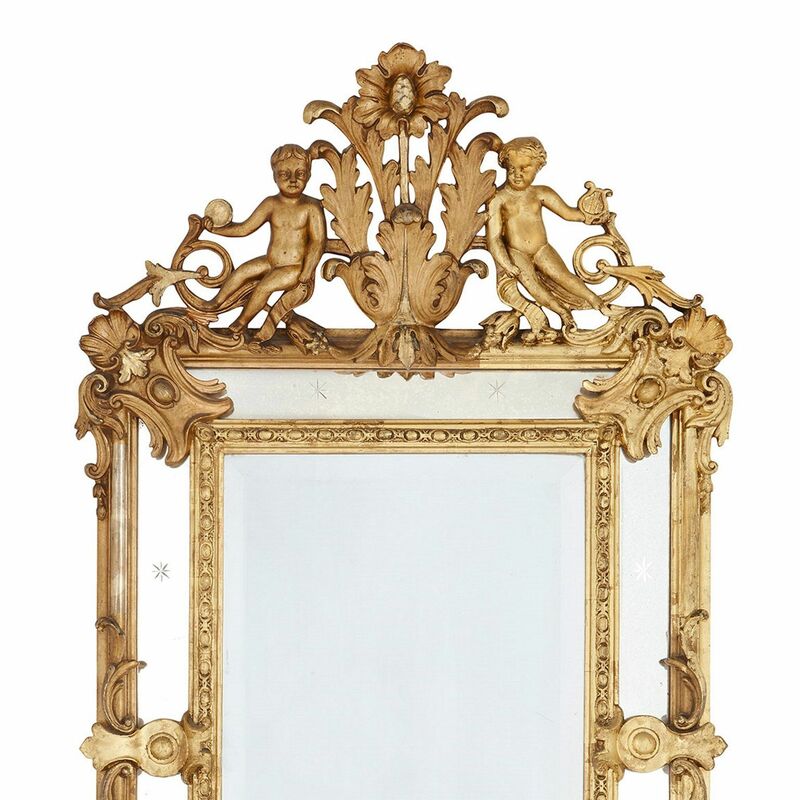 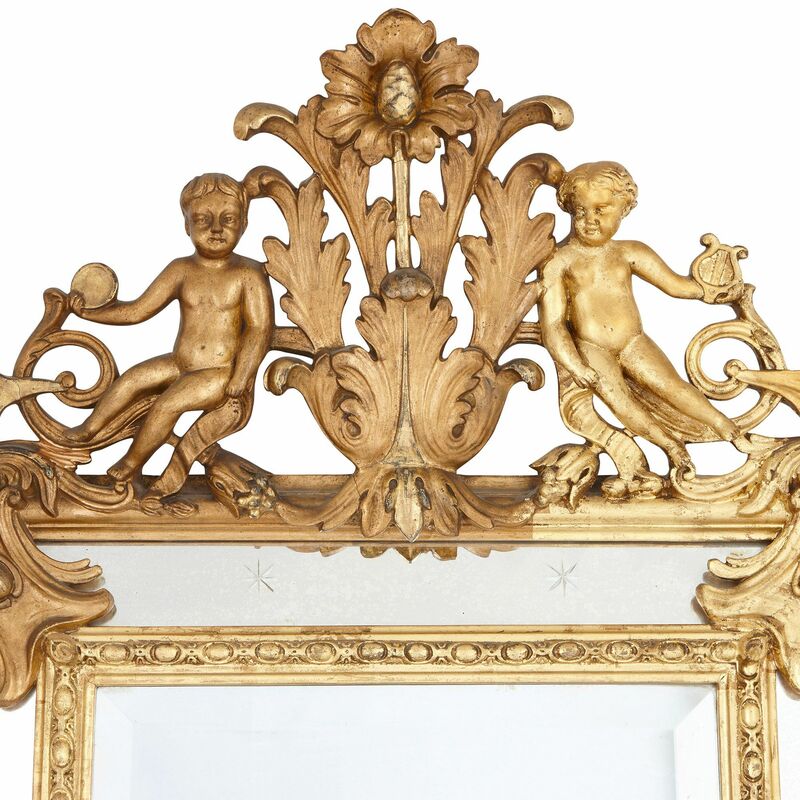 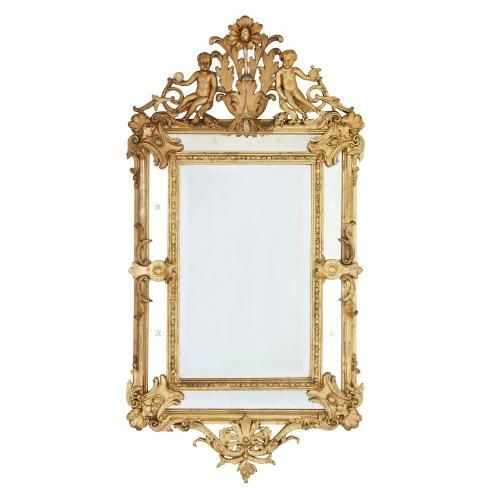 This magnificent French Baroque style mirror, with its ornately decorated giltwood frame, would make the perfect addition to any luxurious interior. 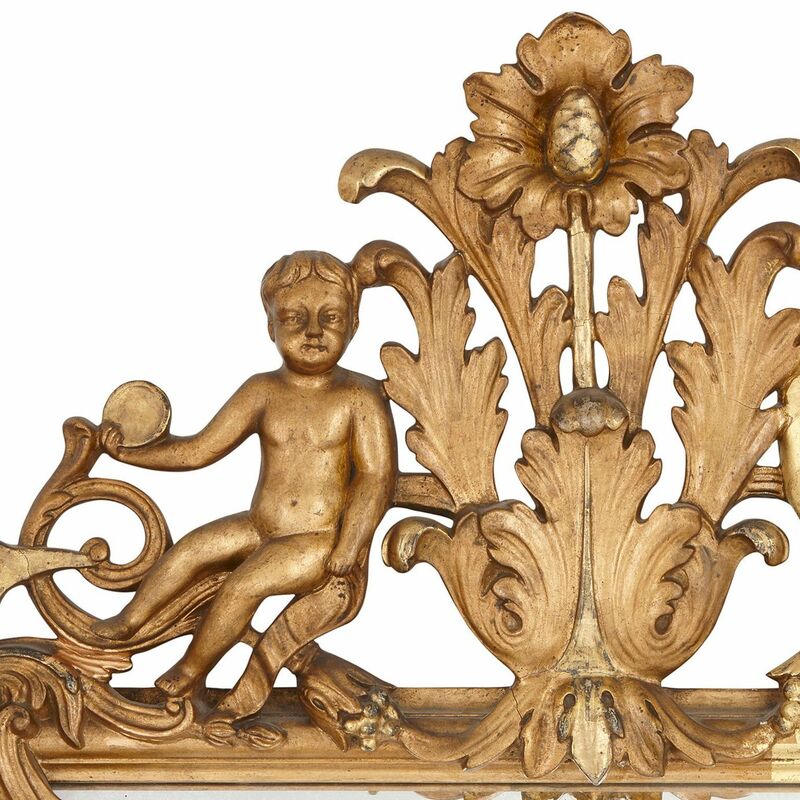 With double frame, the interior with geometrical border, the exterior with scrolling foliate decoration and two putti in the top part, one holding a lyre and the other a coin, leaning on a large floral carving. 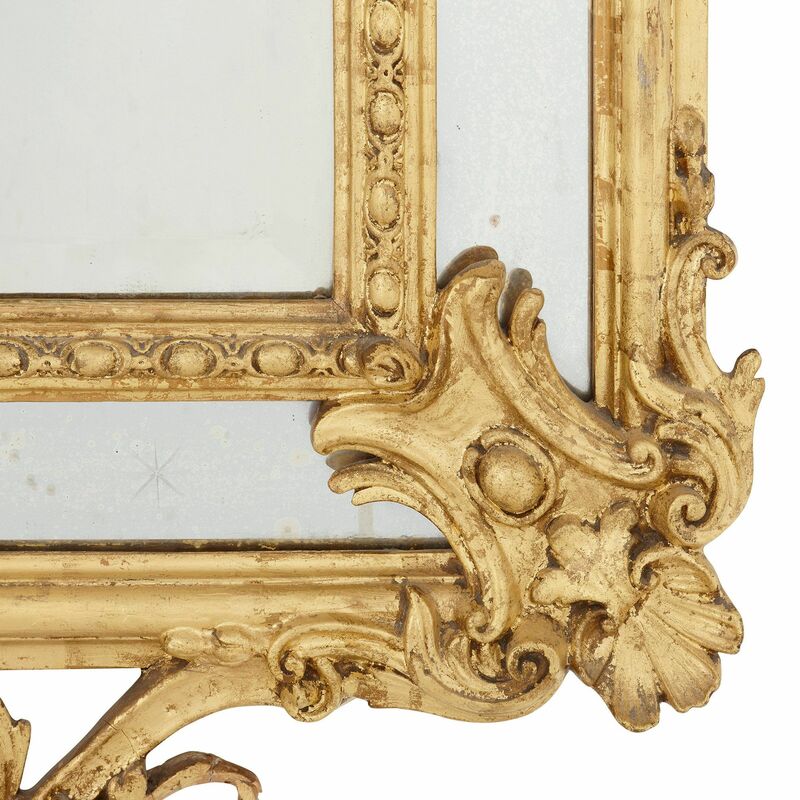 The mirror has been marked with decorative stars in its outer border.